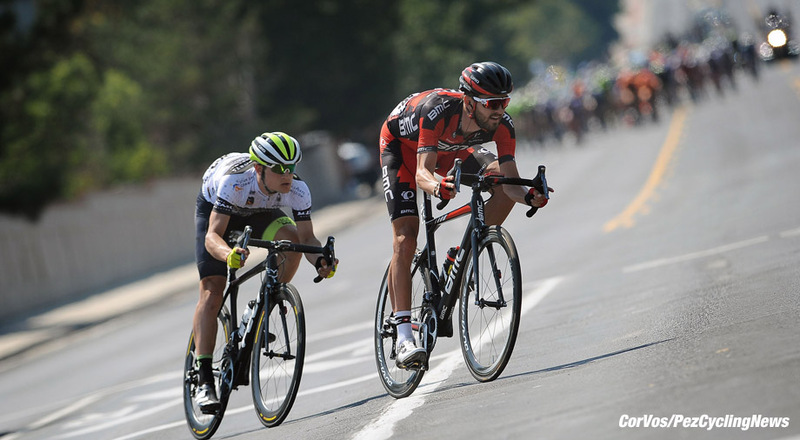 PezCycling News - What's Cool In Road Cycling : CCC’s Joey Rosskopf gets PEZ’d! CCC’s Joey Rosskopf gets PEZ’d! 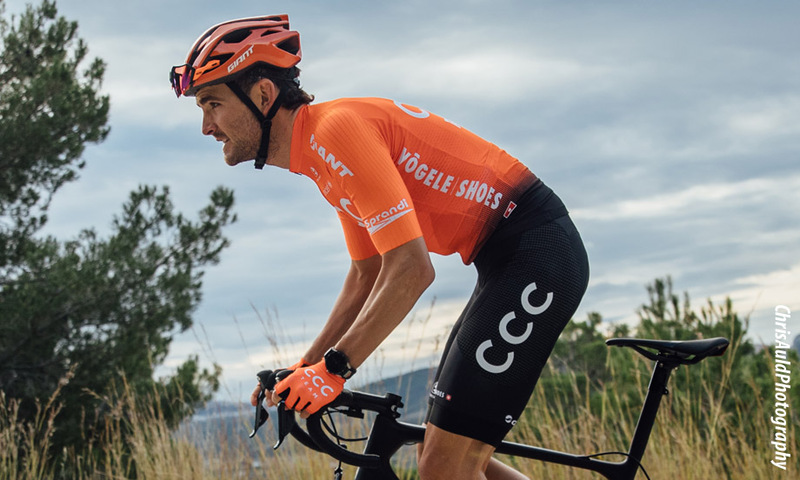 Rider Interview: Joey Rosskopf is entering his ninth year as a professional cyclist and in a new 'old' team, as BMC becomes CCC for the 2019 season. 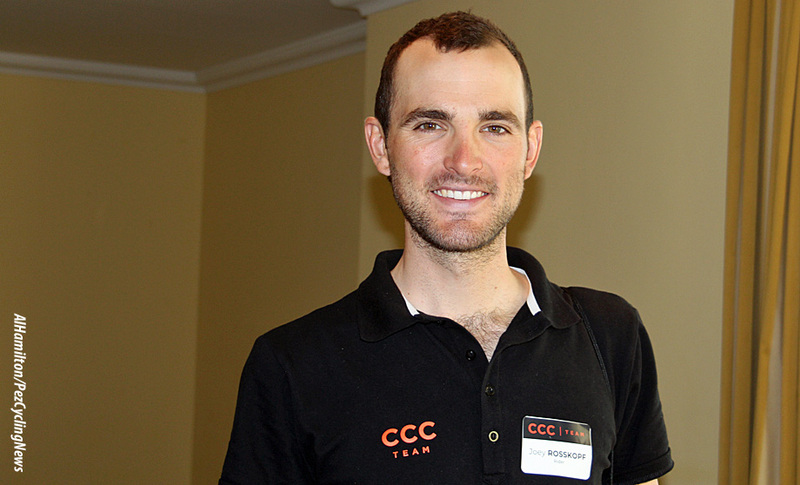 We caught up with the man from Georgia at the CCC presentation and training camp in Spain, just before Christmas 2018. PEZ: New team or different team, what does it feel like? Joey Rosskopf: It does feel like a new team, I think that's like a nice way to think of it too because it's not like the past few years we've just had a couple of new riders they're showing up to camp, it's like we're all from different teams. I mean riders from the old roster are not in the majority. So it's kind of nice. It's a fresh feeling. 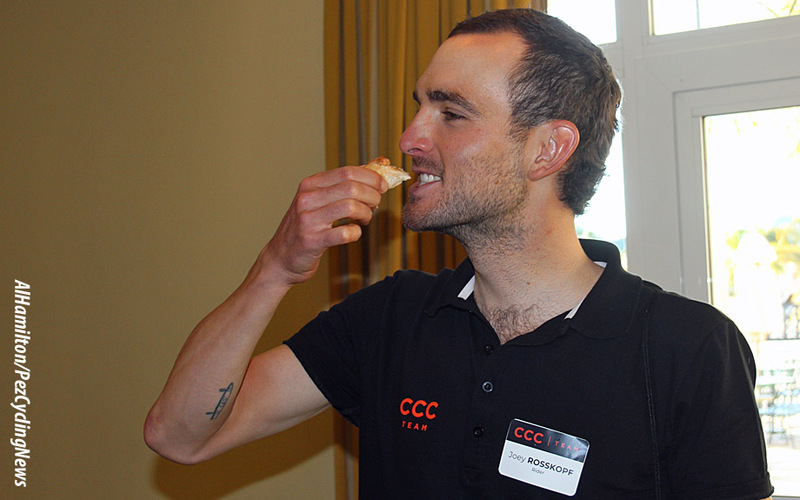 There is not a majority from the previous CCC team or from the previous BMC team, it's like just a total mix. So every everyone feels new, kind of. Continuum Sports is the same management company, but we still have some new staff and obviously the head sponsor. Yeah, it's exciting. It feels different from other years for sure. Just for the whole fresh like Exactly, yeah, totally fresh start new totally new equipment. PEZ: Has there been any problems with equipment? I made like a minor tweak to the saddle angle or something and then on the bike the whole week and it's been good, easy easier than I expected. PEZ: Are the pedals and saddle the same? The pedals are the same, the saddle is different. We are all on giant saddles. Even though the saddle is different from the fizik, I like it, it's working for me. PEZ: That can be a big problem for some guys. Yeah, some guys are, are still checking out different saddle options, Giant makes just at least eight different models. So just to get us started, they put us all on the same model either narrow or wide version and from there like depending on each riders feedback then they have been sort of exploring the different models. I've just been using the first one they put on there. PEZ: Changing equipments can be pretty drastic sometimes. Yeah, it can be really hard. I mean you always have some days on the bike you feel worse than others and if you have those one of those days and you just changed equipment, then you don't know if it's your body or if it's the bike, and you're second guessing everything, that can be a struggle. So I feel pretty fortunate. We did a pretty solid four days in a row of hard training already. And it was nice. I feel confident enough in that to know that if I have a bad day from here on out, it's probably just my body. Just give it a day. Don't get out the allen wrench and start changing everything on the bike position just because it's a new bike because I've been able to have some confidence boosting days on the bike already. If you have a particularly rough ride, it's the worst time to start adjusting things, your body just needs a couple days to relax. PEZ: Did they do a bike fit or was it just the mechanics setting things up the same as last year? On the road bike it was just using the jig, the mechanics set it up as close as possible to last year. 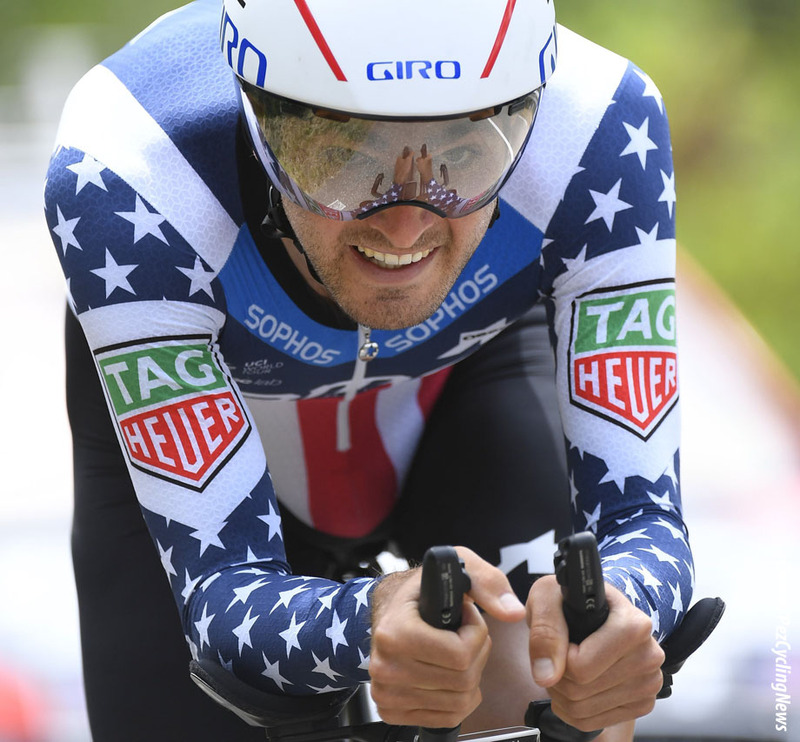 PEZ: What about the TT bikes? We did one day of track testing, aero testing at the Valencia track on the time trial bike. That's been pretty good. I did a real bike fit on that too, on the rollers with the 3D sensors and everything. PEZ: So what about next season what's your big aim/goal? Looks like one of the ways I can have the biggest impact is all the team time trials. A lot of races I go to have a team time trial involved, as well as just trying to keep getting better in individual time trials once in a while again. PEZ: You've always been a solid team guy, you're always working hard and you finish pretty well every race. Yeah, I think so. I would like to be able to continue that. It will be a little different, and I'm going to still do pretty much every one-week long stage races all year. So it's still a similar scheduled to last year, but going to the stage races without a GC leader, it's going to be different, because just being a solid guy for teamwork isn't really going to help anyone if we don't have anyone to work for. So everyone's gonna have to try to adjust to that style of racing. It might just turn into a more aggressive style of racing or more targeted on particular stages in each race. 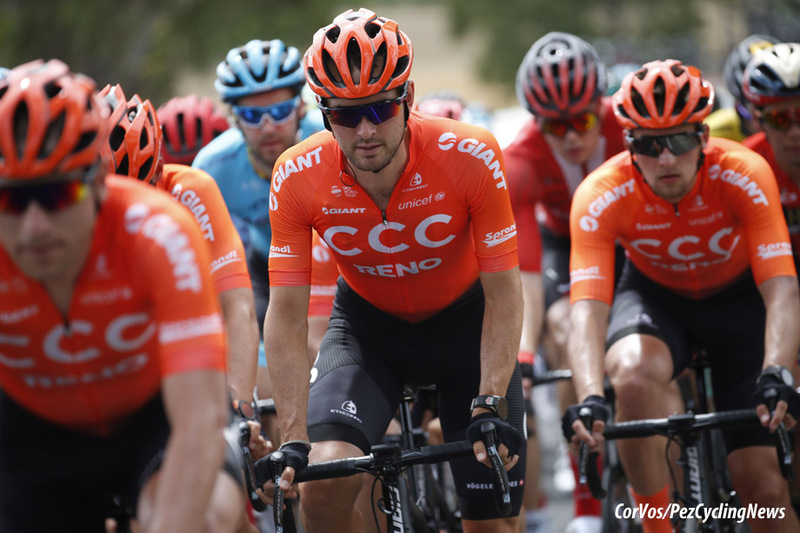 If there's one or two stages that are sort of a specialist type finished with something that suits one of our team members, but it's going to be a lot less of the general protecting of a big GC rider, which I feel like I learned how to do that really well the last two years. It's kind of nice to continue learning another role since we don't have the total GC role anymore. PEZ: Do you think there will be more options for you personally? 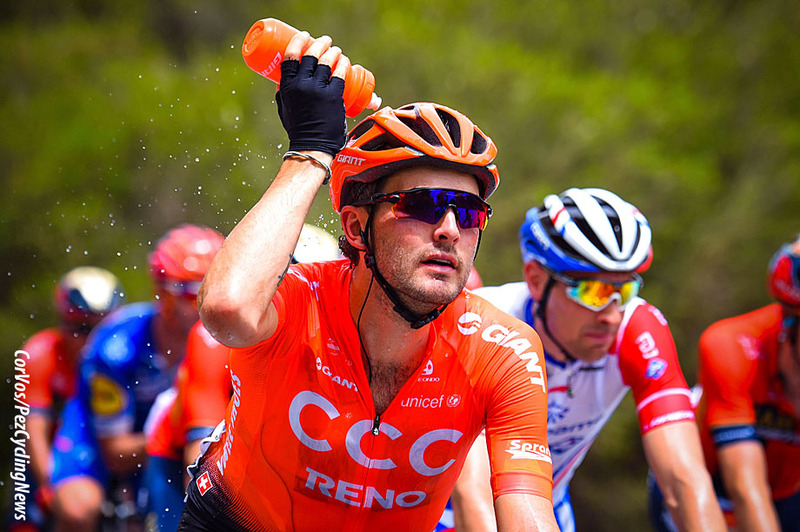 Yeah, I think it's really open, I think everyone can have their chance in stage races as we don't have a big leader each time, like we had with Richie or Tejay. 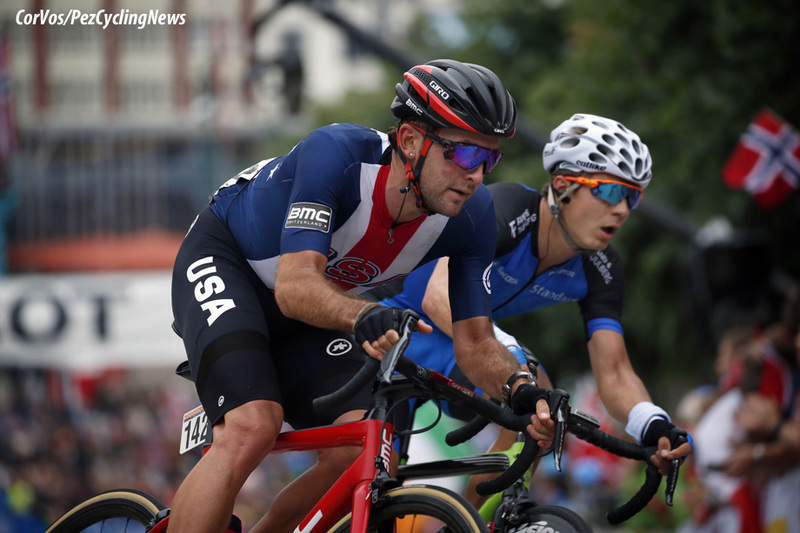 I envision it taking a few races to sort of warm up, to get used to, figuring out how to step up and take the chances for themselves because it's just a different style, a more aggressive style. 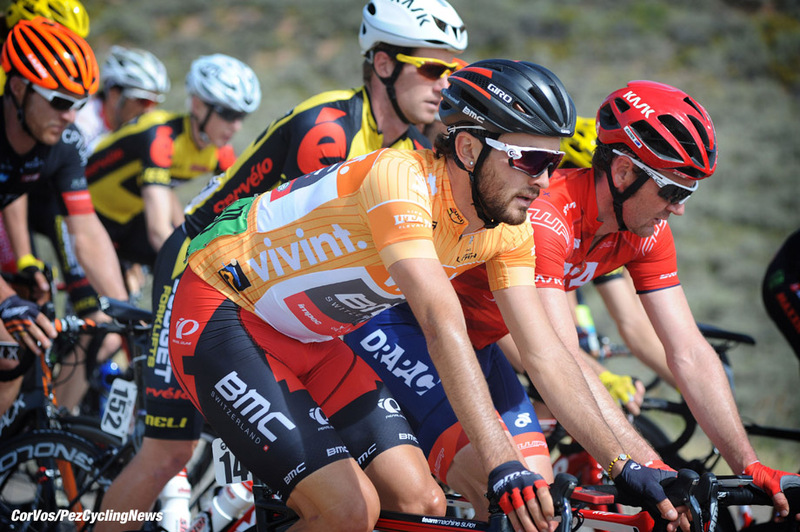 PEZ: You think the Classics, with Greg, will be similar to previous years? Yeah, I think that will be similar. We have a super strong team for the Classics. PEZ: Other races are going to be a bit of a learning curve to see what the tactics will be. Yeah, it's not a role in races that BMC has taken that often in the past without a stage race leader, so everyone will have to adjust to that. PEZ: You wouldn't normally go in a break. No, not often, no. That's going to be one of our best shots to get results this year I think, just taking our chances going in breaks. PEZ: So who would be the sprinter in the team? We've got a couple of sprinters, more than we've had in the past, actually. Jakub Mareczko is a younger Italian guy, comes from Willer Trestina, he's he won a lot of races the last few years. He's been winning a lot in Asia, I think he's really quick. So that's another thing to focus on that we've never done in the past, that'll take some learning, it will be a huge learning curve. Our team never did have a really dialed lead-out train. It's not something we've ever focused on. Also the youngest rider on the team, the Polish guy, Szymon Sajnok, he's the Omnium World champion on the track, he's a really quick guy. So I think he can get up there in the sprints. I think he even ended the season at turkey with maybe fourth or fifth on the final stage. He's another guy that we can support in flatter races. PEZ: It sounds pretty good actually, sounds like it's going to be more open for everyone and could be more exciting. It could be Yeah, I think I just envisioned there being a learning curve, we're gonna have to get to a few races and figure out where to hedge our bets, which tactics are going to reward us the most in each race. It could give us some chances. It's kind of hard to know. I mean, you can say that it's going to be nice to not have to ride for a GC rider, but that's actually a role that I felt that I learned to do really confidently. So it was like the last two years learning how to do that, and then I finally felt like I got it down pat pretty well. PEZ: If the team is going to a short stage races for the win, and of your riders has the yellow jersey, then somebody with your talents, that knows how to work for a leader, is invaluable. 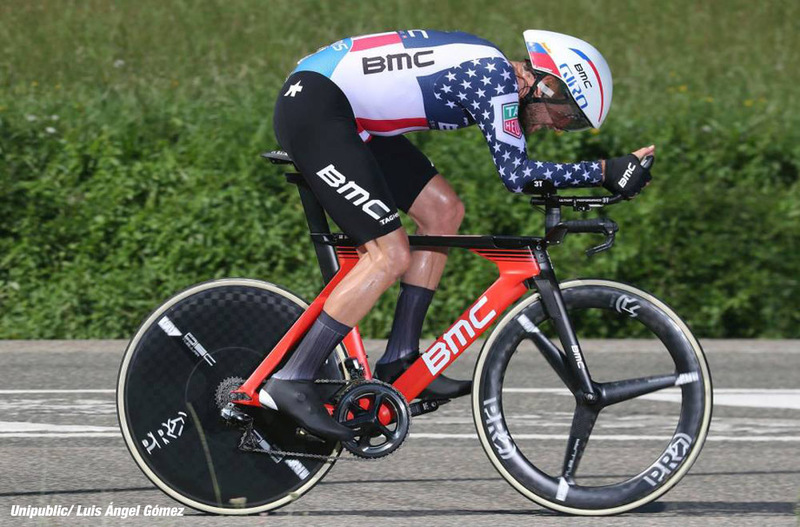 If we ever get into the situation of going for a top 10 in a stage race, we will be able to handle that for sure, but that's a role that BMC, or this organization, has taken often in the past. Another skill in the bank and now we can adjust to however the races turn out this year. PEZ: Do you know your 2019 schedule yet? A bit of it. The first couple races should be pretty locked in at least. I'm going to start Down Under and Cadel's Race which I've never been to Australia, I've been to the airport one time, but I'm pretty excited about it. I don't know what it's gonna feel like racing on January 13th, that's coming up pretty quick. I'm looking forward to that, it's a race I have always wanted to do. Start there and get a couple weeks in the heat, hopefully still do some good training between the races; Down Under and Cadel Race and then I'm going to go to the UAE Tour, come back to Europe after Cadel's and then go to the UAE Tour. There there's a team time trial, which is new from years past. Oh, it's a new race, I guess, sort of combination of Dubai and Abu Dhabi. We can at least still target and team time trial. We don't know our capability, that's not really your normal stage race. There is probably just one climb or something that defines the GC, but at least shoot for it. Any race we go to that has a team or individual time trial, we can always target that with this organization and see where that leaves us. 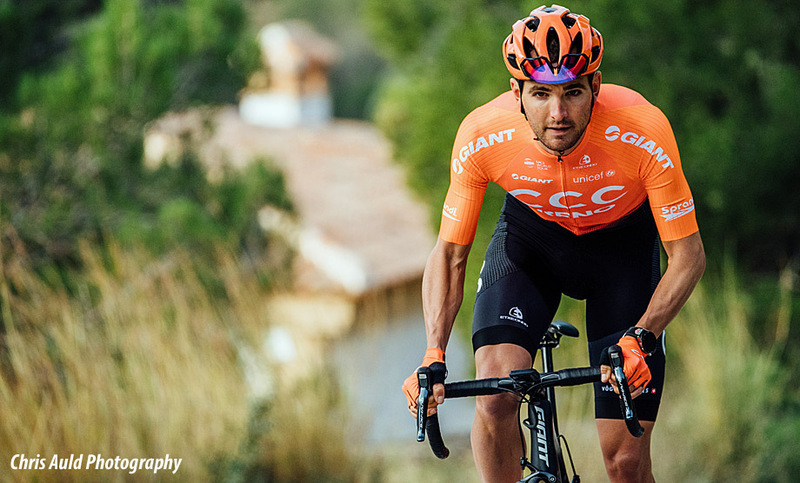 Maybe we'll get to the UAE Tour and maybe we can do a decent time trial and someone steps up and can climb well enough to stay in top 10 on GC and then we'll go from there, just sort of figure out what each person is capable of in the stage races. 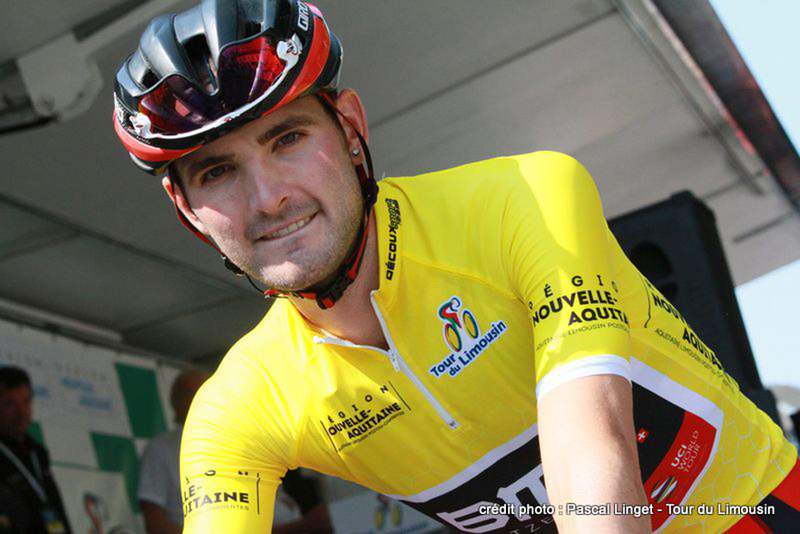 PEZ: What about a Grand Tour? I'll do one for sure, at least one. I'm not sure yet what it's gonna be. PEZ: What race are you looking forward to in 2019? It's pretty fun to do the US races, not sure if I'm on for California, but they're fun just like... well, mainly because I will have already been in Europe for a few months and it's like a small taste of home, although California is not anywhere near where I live in the US. I'm from near Atlanta. But it's still like more of a taste of home, switches things up from the European scene which is always exciting. PEZ: Where do you live in Europe? Girona. I fought it for a couple years. I would probably want to be closer to an airport, it's not super convenient for me, would be nicer to live just outside Valencia having a 20 or 30 minute journey. The riding is good. PEZ: Will you go home to Atlanta for Christmas? Yeah, I'm going to go to Atlanta for Christmas. So there is a lot of traveling for the start of the year. It's Atlanta and then the Down Under and then I'll be station pretty much for good after we get back from that down on a trip, straight back to Europe from there and then UAE. All that will be from the Girona home base. PEZ: What will be your first race in Europe? It will be Tirreno I think, as long as I stay on course for that. As soon as you start racing things get shifted around a but. I will do Catalunya, hard to plan for much past that till we get to get started, see if there's any changes. There's just so many moving parts, we have basically a triple schedule some points of the year. They give us a proposed schedule for about six months, but I don't plan on anything past a month or two just to keep my mind open. Those Spanish cakes are nice!